State Herbarium Hon. Research Associate Pam Catcheside has recently been invited to Government House to celebrate her inclusion in the 2015 South Australian Women’s Honour Roll. This recognises her outstanding contribution in the field of mycology, ranging from the collection and observation of fungi in the field to the detailed examination & description of specimens and the publication of her results; the honour also recognises the fact that she is South Australia’s only official mycologist, filling a void in a significant area of South Australia’s biodiversity knowledge, as well as her dedication to volunteers and to making the information accessible to the community (see here for the official citation). The South Australian Women’s Honour Roll pays tribute to SA women who have made an outstanding contribution to our community. 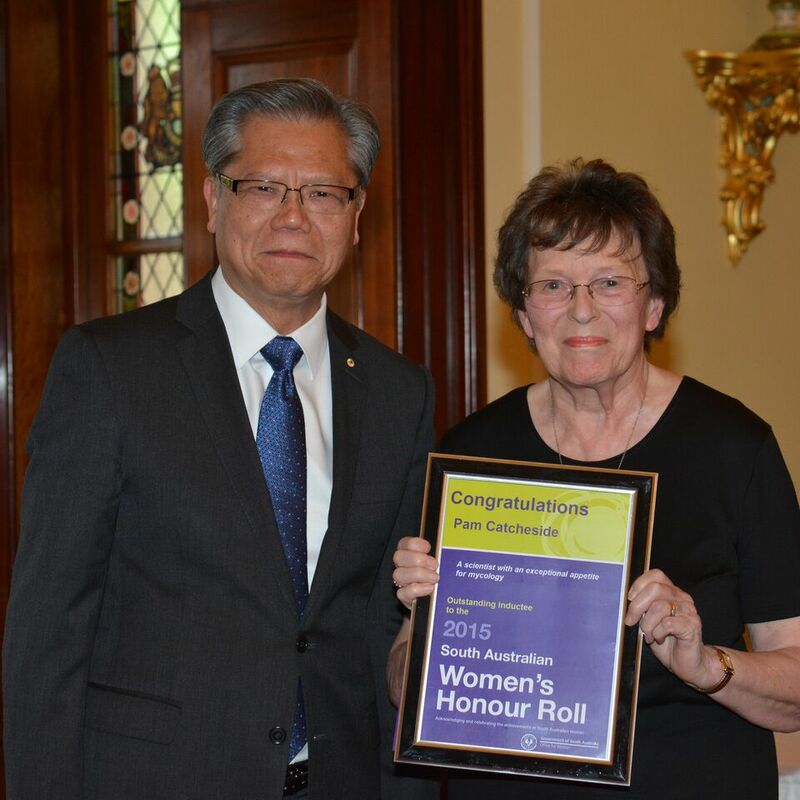 The 2015 Honour Roll was launched by the Hon Gail Gago MLC, Minister for the Status of Women. This year, 30 women were included in the Honour Roll. This entry was posted in News on 15 December, 2015 by Jürgen.